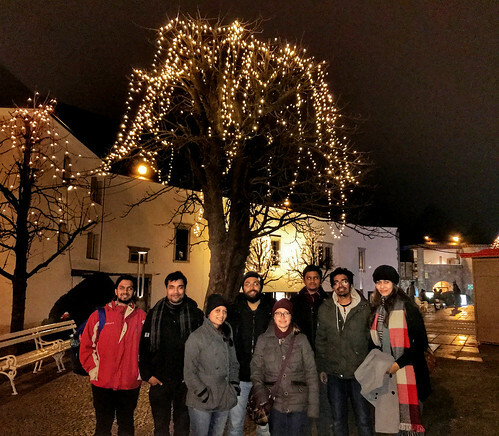 I spent around half-a-day at Ljubljana on January 2, 2017. Oh wait.. How to pronounce Ljubljana? Yes that’s the first struggle I had! So let me clear the air right now. It is pronounced at Lyu-bli-yana. 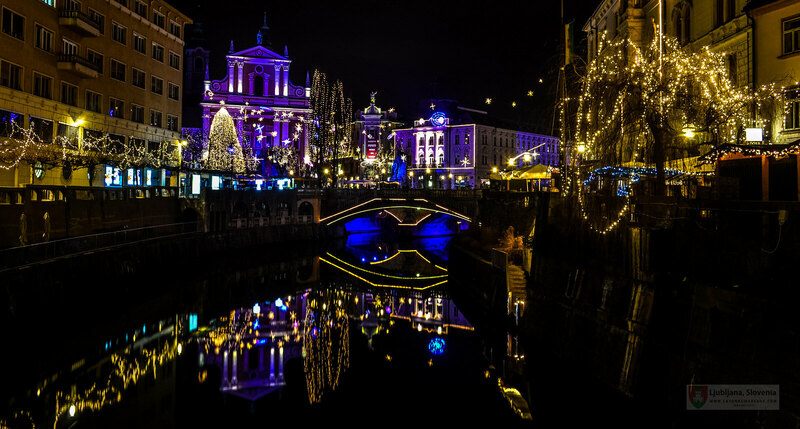 The origin of the city’s name is an hybrid that goes back to the Middle Ages when both the river & town were called by the German name Laibach and the ItaItalian name Lubian! 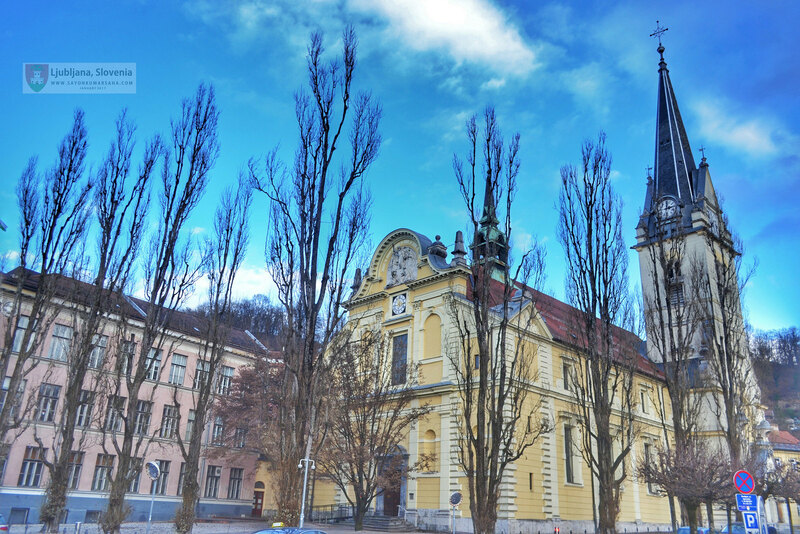 This old town has a touch of Baroque, Renaissance and Art Nouveau buildings. 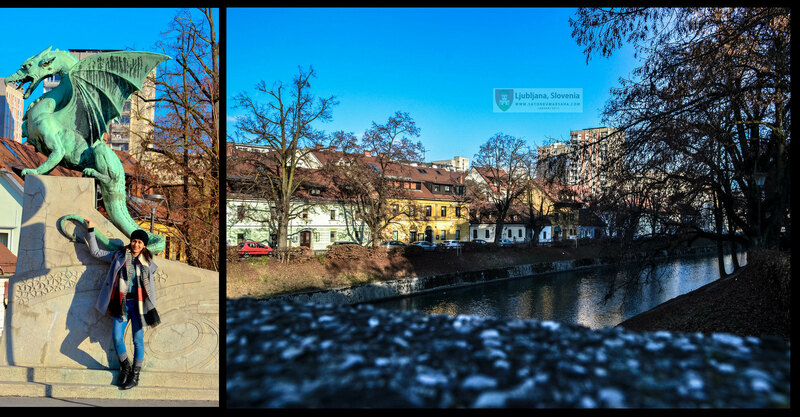 It was the Slovenian architect and the master of early-modern minimalist design Jože Plečnik, who graced Ljubljana with his art. The Ljubljana Castle crowns a 375-metre high hill east of the Old Town. It was originally a medieval fortress from 11th century. It was used as a defense structure during the 14th century. Later, since 19th century it is used for various other purposes. The Franciscan Church of the Annunciation at the end of the Ljubljanica river seen above is one of the most photographed buildings of Slovenia. Its red colour is symbolic of the Franciscan monastic order. 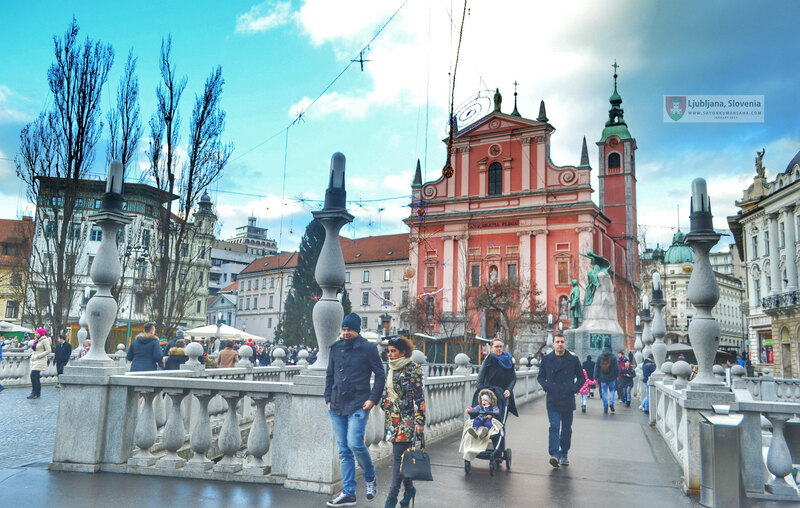 Ljubljana has several bridges crossing over Ljubljanica river such as the Triple Bridge, the Dragon Bridge, the Hradecky Bridge, and the Butchers’ Bridge. Only the Trnovo Bridge crosses over Gradaščica. The Triple Bridge is a group of three bridges as can be seen above. Originally a single bridge existed connecting the Central Europe with the Balkans. In the 18th century two additional pedestrian bridges were constructed to prevent an upcoming stone arch bridge as the bottleneck. The Dragon Bridge is one of the most beautiful bridge produced by the Vienna Secession. The four corners of the bridge has four dragon statues on the pedestals. There’s Nikita posing with one of them in the picture below! The city is symbolized by the Ljubljana Dragon. It is common to find this at several places around the city. The history with dragon goes back to the Slavic myth, that slaying of a dragon releases the waters and ensures the fertility of the earth. The expansive marshy area of the city that periodically caused flooding is connected to the myth! 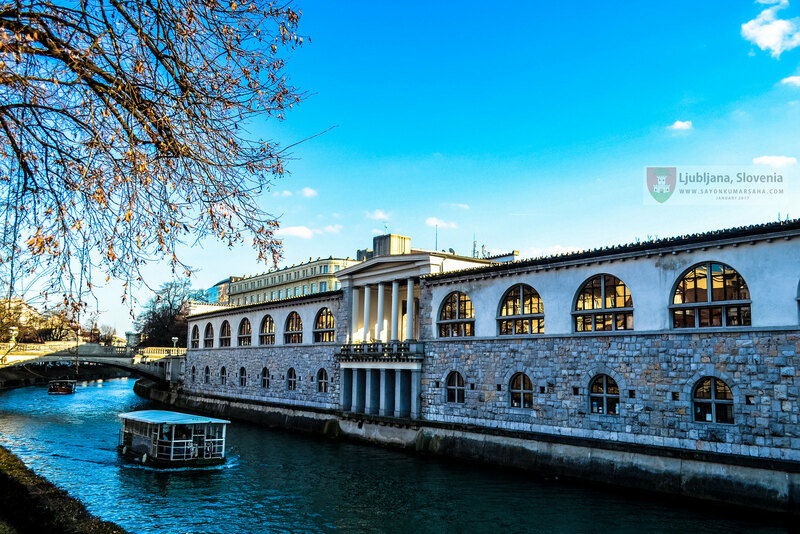 It it is one of the greenest cities of Europe. 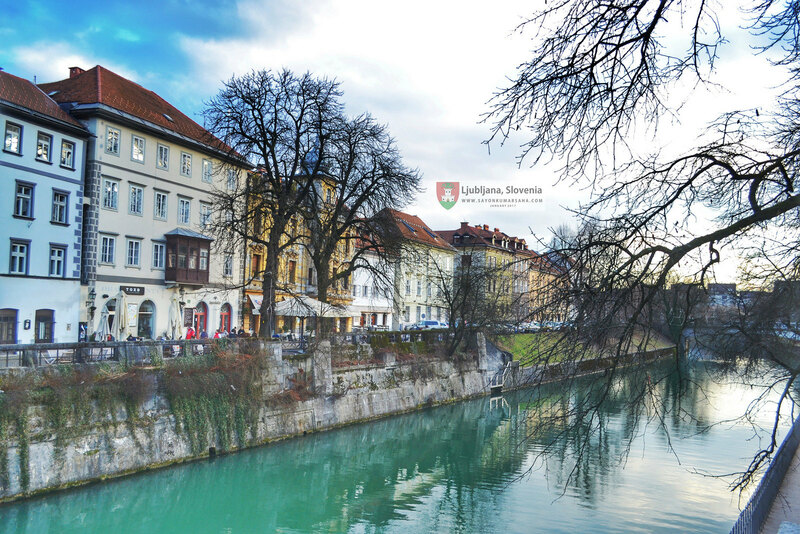 The leafy banks of the emerald-green Ljubljanica river flows through the heart of the city. Since car traffic is restricted to the center, the river side is an amazing area for pedestrians and cyclists. 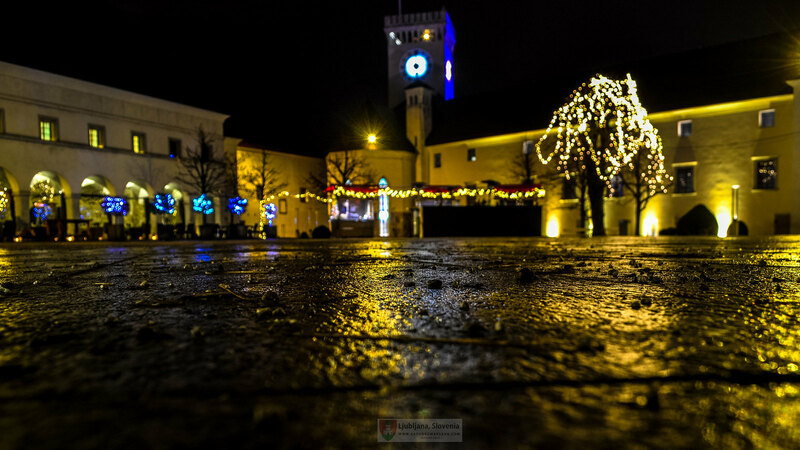 Unfortunately winter didn’t let me witness the green magic of Ljubljana! 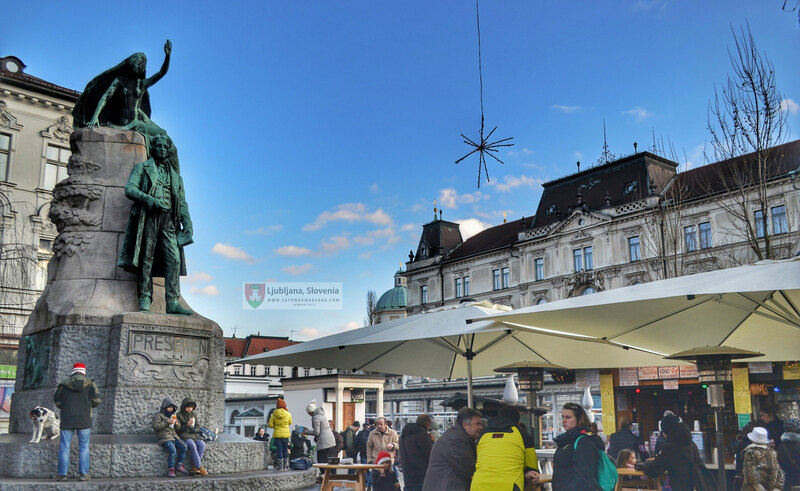 The 11ft high Prešeren Monument includes the sculpture of the Slovene national poet France Prešeren, facing the window of his love, and a sculpture of muse above him sitting on a rock above him. 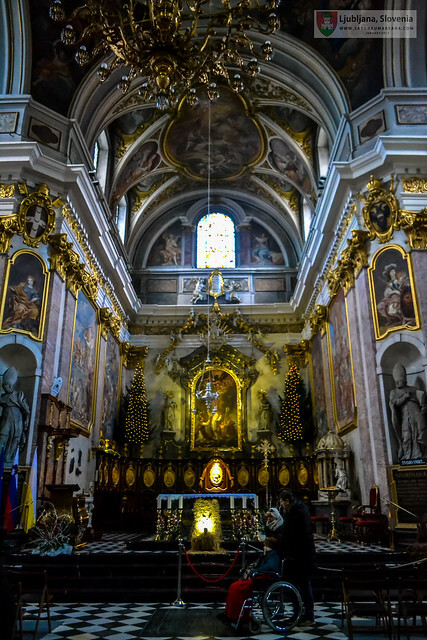 The interiors of the Franciscan Church of the Annunciation is beautiful. As the sun set in at Ljubljana on the second day of January 2017, the city had its own unique charm. Most of buildings along the central square including Franciscan Church of the Annunciation lit up to create an amazing ambiance. Spending time with friends at the the cafes along the series of bridges had been enchanting. 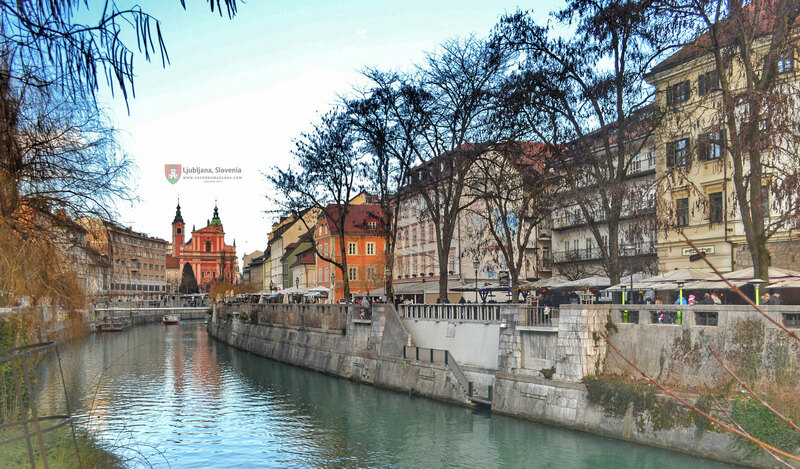 Ljubljana, the Slovenian Capital in East Europe is a perfect blend of German, Mediterranean, and Slovenian culture. 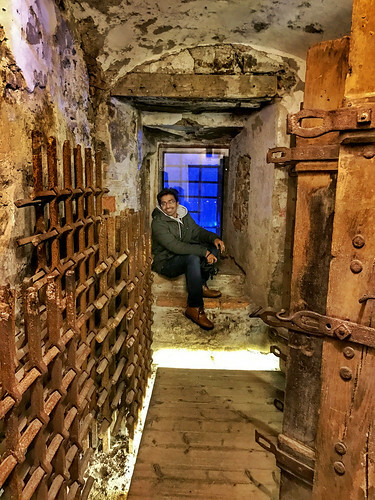 Photograph on the left: The Ljubljana Castle jail where people like Italian revolutionary Silvio Pellico, the Hungarian Prime Minister Lajos Batthyany and the Slovene author Ivan Cankar were jailed once upon a time. 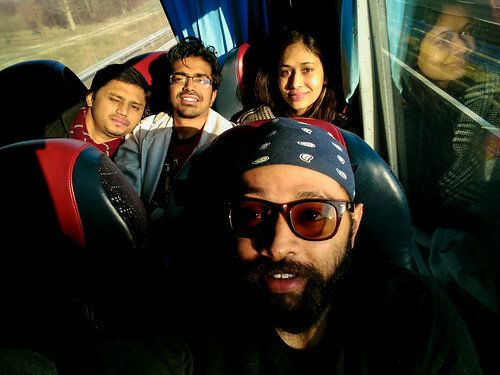 In the photograph (left): Vinay, Ankur, Akanksha, Monit, Dorothia, Ankush, Me, and Nikita. Next PostHoly Ship! trivago On-tour ’17! Holy Ship! trivago On-tour ’17!